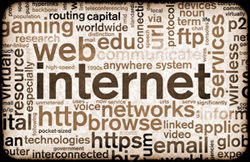 Metalaw®.US focuses heavily on the law of cyberspace and Internet law. Rita Lauria handles a variety of Internet-related issues involving intellectual property, contracts, privacy violations, and other areas of the law that come into play when one uses cyber technology to create, to sell, and to communicate. To preserve your rights and to ensure your protection, Metalaw®.US offers advice, counseling, and litigation in a range of areas involving the Internet, Ecommerce, and immersive cyber environments. With more than twenty years working at the frontier of advanced communications media, Rita Lauria continues her work building a law practice specifically aimed at helping immersive world builders grow these worlds and protect their intellectual property. Before she began the practice of law, Rita Lauria's research focused on the paradigm shift occurring due to the pervasive use of advanced communications media that generate virtualities. 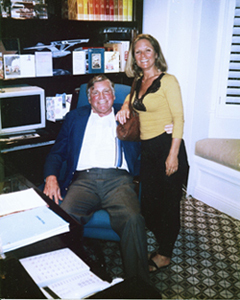 Attorney Rita Lauria knows the world changes rapidly now and legal systems are slow to move with this change. Her background and experience working with researchers, designers, and developers in top university and private research labs developing at the leading edge of change puts her literally inside information where she can cite the future of immersive media design and deployment. If you want a good pulse on this future and you want to ensure your business is legally prepared, contact Metalaw®.US. We bring not only years of experience but also a world-class network of innovative minds to work for you. Trademarks, copyrights, and patents are all types of intellectual property. Trademarks are business-oriented and protect brand names, slogans, and logos. Copyrights protect artistic works, like books, movies, paintings, and music. Patents are technical and scientific. Patents protect inventions, like machines and ways of manufacturing. Applying for a trademark or a patent is a legal proceeding. The law requires trademark and patent applications be examined by the U.S. Patent and Trademark Office (USPTO) before they can be approved. USPTO registration is neither instantaneous nor guaranteed. For instance, each trademark registration application must be reviewed. Applications may be refused or need to be corrected. You may be required to pay additional fees. Read more about Trademark Basics. Let Metalaw®.US take the worry out of acquiring the protection you need for building your business by making sure your mark, copyright, or patent complies with all legal requirements for registration. At Metalaw®.US our goal is to make sure the legal process of acquiring your intellectual property registration is conducted properly and you register your mark or copyright or get your patent efficiently and effectively. We aim to save you time and money conducting this legal process. Metalaw®.US Law Offices represents clients in transactional matters from around the world. If the need arises we mediate intellectual property disputes and will assist you to litigate when necessary. Let Metalaw®.US help you acquire the protection you need for your intellectual property. Contact Metalaw®.US for all your intellectual property acquisition needs. Contact Metalaw®.US when disputes arise concerning your intellectual property, whether marks, copyrights, patents, domain names, or other matters. 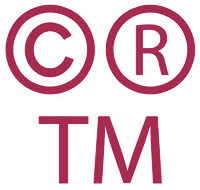 The USPTO has plenty of useful information on basics of trademark law. The US Copyright Office has many circulars that are extremely useful.